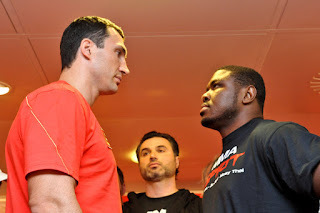 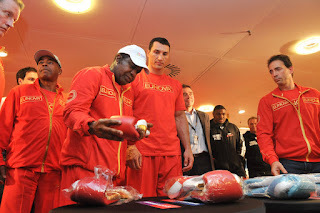 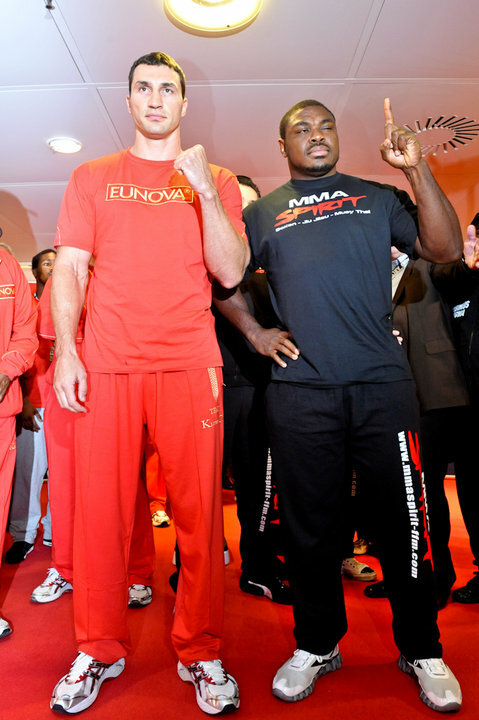 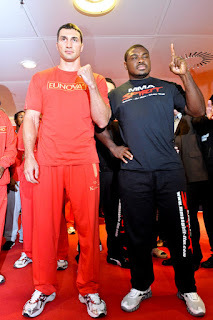 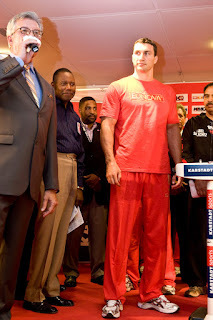 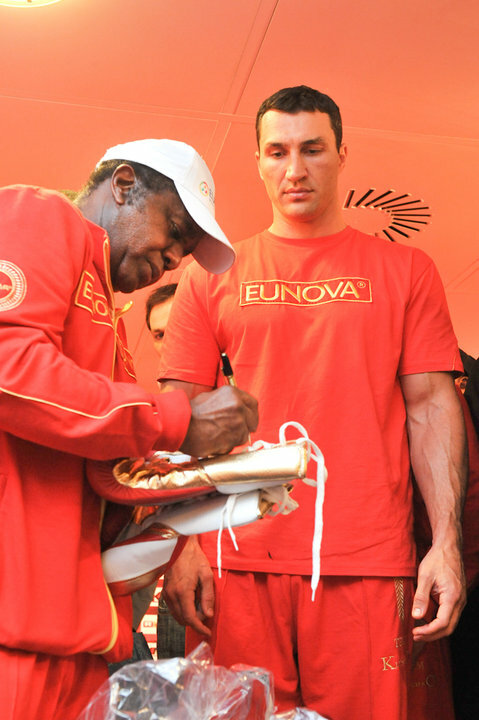 Today was the weigh in for current WBO, IBF, IBO, and Ring heavyweight champion Wladimir Klitschko and former WBC heavyweight champion Samuel Peter ahead of their rematch and fight tomorrow. 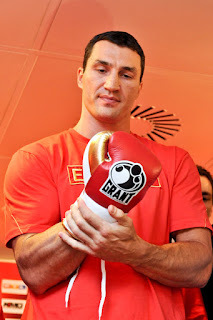 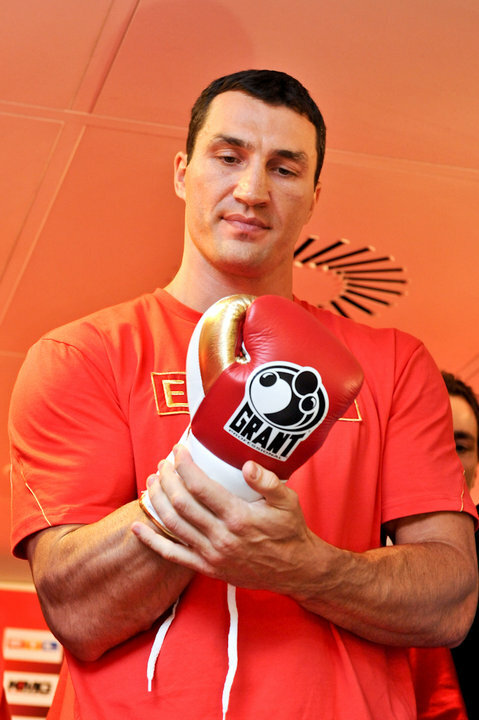 Wladimir Klitschko weighted in at 246.9 lbs. 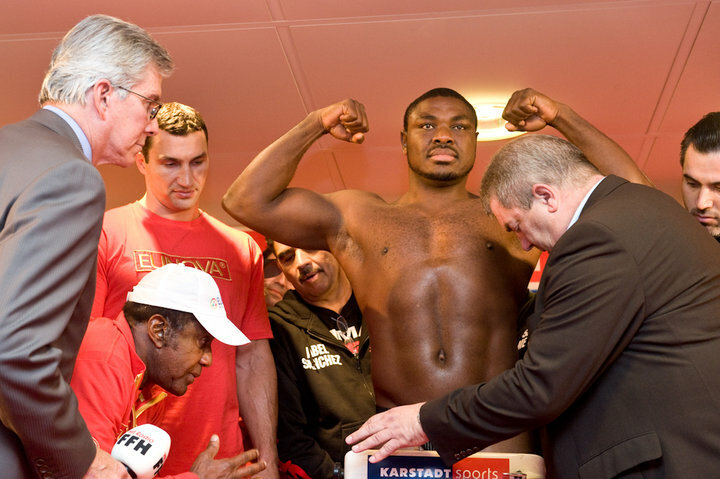 Sam Peter weighted in at 241.4.